Mackenzie, Compton. 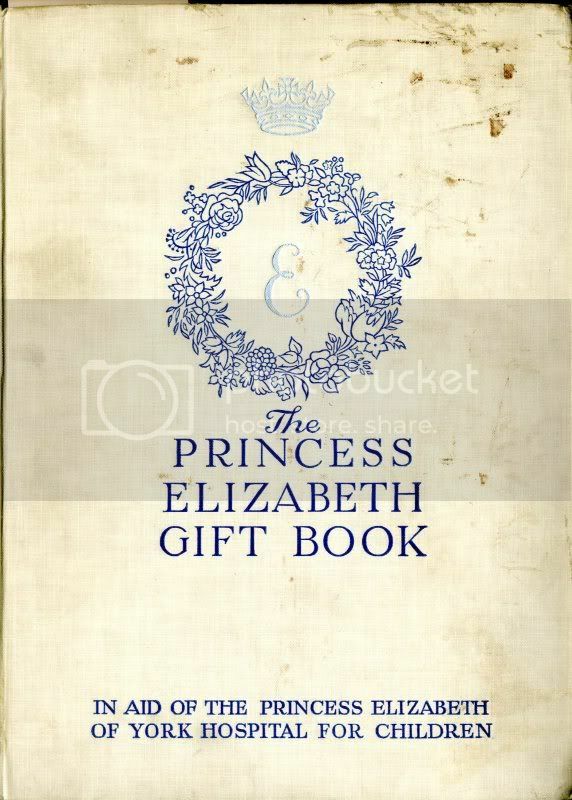 “The Fairy Washerwoman.” The Princess Elizabeth Gift Book. Eds. Mackenzie, Compton. “The Fairy Washerwoman.” The Princess Elizabeth Gift Book. Eds. Cynthia Asquith and Eileen Bigland. London: Hodder & Stoughton, 1935. 73-79. Print. “The Fairy Washerwoman” written by Compton Mackenzie and illustrated by Paul Bloomfield is the underlying story which this exhibit will examine. This fairy tale is only one of the many stories comprised in The Princess Elizabeth Gift Book collection of fairy tales. This collection was published in 1935 in hopes to help aid in the Princess Elizabeth of York Hospital for Sick Children. This gift book contains a wide array of fairy tales from tales about enchanted princess’ to tales about washerwoman fairies. The book is designed and presented in a very visually appealing and exceptional manner. The first page is a personalized invitation to a party; namely inviting readers to the content of the book. As the reader flips through the pages they will find an illustration of Disney characters such as Mickey Mouse, Minnie, Donald, Goofy, Pluto and Daisy walking down a red carpet to a party. The back cover of the gift book concludes with Mickey taking a photograph of the whole group. And since this year marks the celebration of 100 years of Peter Pan, mermaids, pirates and fairies, this following digital exhibit will be devoted to a fairy tale pertaining to the idea of fairies. More specifically this digital exhibition will explore the categorical and contextual issues revolving around how Scottish values are instilled in this fairy-tale. Compton Mackenzie was born January 17th1883 in West Hartlepool, England into a theatrical family (University of Glasgow, screen 1). Mackenzie wrote approximately 100 books throughout his life; two of which are among his more famous novels which were both comedy and Scottish based. Mackenzie spent most of his life trying to trace his ancestral roots and found that his ancestors were indeed from Scotland which fuelled his attachment to the Gaelic culture (University of Glasgow, screen 1). “Mackenzie wasn’t born a Scot, and he didn’t sound like a Scot. But nevertheless his imagination was truly Scottish” (Undiscovered Scotland, screen 1). This shows the passion and love he had for the Scottish culture. When Mackenzie passed away in 1972 he was buried in Scotland because that is where his heart truly lied (University of Glasgow, screen 1). Like many of Compton Mackenzie stories “The Fairy Washerwoman” is based in a town in Scotland and revolves around the idea of the responsibilities of a Scottish fairy. When the main character of the story – Hector – first finds the fairy washerwoman he tossed his jacket over her, throws her over his shoulders and runs into his house (Mackenzie 75). According to Katherine Briggs you must treat fairies with respect or horrible events will happen to the person who was being disrespectful (107). Thus, Hector has already broken this rule. When Hector finally converses with the fairy washerwoman a contract is made between the two which underlies that the fairy will work for Hector for a year, but once that year is up Hector must let the fairy go (Mackenzie 78). The fairy washerwoman only had one request which was to work outside the house looking after the cattle and sheep, as well as growing corn. However, she had one condition: she will not do any laundry for a mere mortal (Mackenzie 78). Fairies are creatures that only work outside and are portrayed as ones who enjoy doing outdoor chores such as milking cows (Briggs 107). Through research it is still unknown why fairies refuse to work inside and enjoy doing labour intensive work outside. However, an argument is made that fairies live outdoors in forested areas with their friends and families because they enjoy the freedom that living outside provides (Rak 297). The fairy is very hard working throughout the tale as she provides Hector with the best corn, milk and protected all of his sheep. She was very unselfish throughout the one year and kept her promise to Hector. Although there is no definite physical description of what fairies look like in the story of “The Fairy Washerwoman”, the reader can grasp an idea simply by looking at the illustration drawn by Paul Bloomfield. Typically when I think of fairies I regard them as bubbly pretty little beings with wings that fly around with sparkly fairy dust. The fairy in this tale is far from what one would expect and/or imagine. The fairy depicted in the illustration is much different from currently held images and representations of a fairy. Here in this story the fairy is dressed in ragged clothes and in bare feet which gives the impression of powerlessness and the association of the poor. “The Fairies in Traditions and Literature” fairies are depicted as half the size of a human and are extremely beautiful (108). By looking at the illustration one can see that she is indeed half the size of a human. However, since her face is not revealed in the image, her character and her physical features remains a mystery. In the line drawing above, Hector appears much more powerful than the washerwoman fairy. While the fairy is drawn with minimal detail and in the most simplistic form, the image of Hector in contrast is very detailed. His facial expressions and his clothes are drawn with such fine details through the use of lines and shading compared to the mere outline of the fairy washerwoman. The drastic height difference between the two characters, as well as the fairy’s back towards the reader gives the impression of Hector’s dominance and authority over the fairy. The fairy in “The Fairy Washerwoman” does not have a name; she is only addressed as the washerwoman. This makes her presence and role as a fairy seem rather insignificant. Fairies typically do not have an identity; they only have a job or task in which they are held responsible for (Rak 297). Even by looking at Bloomfield’s illustration, the fairy’s back is faced towards the reader which prompts the idea that she is unimportant compared to Hector who in comparison is looking straight at the reader. Hector treats the fairy as a mere servant with no individual identity; he yells at her and forcefully tells her that she cannot leave just so he can have more money to find a wife (Mackenzie 79). He treats her like property and not like her own individual person that she is. At the end of the fairy-tale Hector regrets cursing the fairy. However, by that time it was too late because a fairy never forgives (Mackenzie 79). If Hector had been respectful to the fairy maybe she would not have cursed him and he would be remembered. In the end, not even a blade of grass or a loose stone was present to show where the ungrateful Hector once lived (Mackenzie 79). Hector was greedy, disrespectful, dishonest and selfish – traits that a Scottish man should not portray or yield. Fairytales and folktales alike are written to represent the people and their values and/or beliefs in its given time and culture – the story of “The Fairy Washerwoman” was no different. With that being said, the values and/or beliefs of the people are transferred from their social life into print literature. The tale of “The Fairy Washerwoman” takes place on the island of Sandray, about sixty miles away from the west coast of Scotland (Mackenzie 73). For that reason the cultural context of Scotland in relation to fairies will be examined. And since every story has its roots in the cultural context in which it is influenced by, in the same way, values explicit to its specific culture is instilled and represented in Celtic print culture. The Scottish people’s belief in hard work, honesty and unselfishness are virtues that will be explored with reference to “The Fairy Washerwoman”. 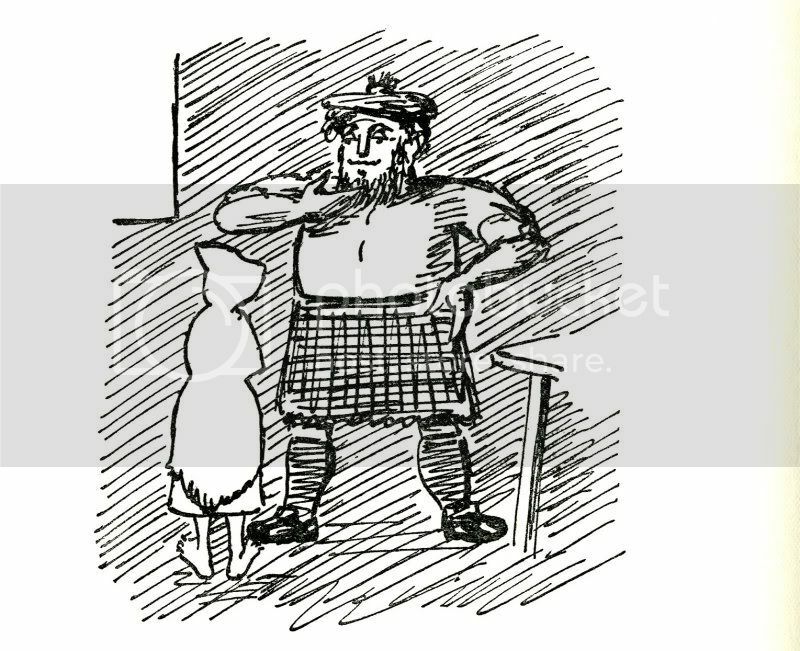 Interestingly, while the fairy represents some of the strengths or values of the Scottish people, Hector – the mortal in the story in contrast reveals a failure to live up to these standards, and a failure to render these traits. It is difficult, almost unfeasible, to provide one definite description of the fairy figure in the cultural context of Scotland. However, Wilby wrote that fairies are “visually extraordinary – a tiny or giant size, shadowy, glowing with light and hollow backed” (287). They resembled ordinary human beings or animals with only slight differences. Although fairies are deemed to be capable of taking different shapes and forms, they are typically in small human figures (Wilby 285). Fairies were believed to possess supernatural powers that either benefited or improved the well being of humans, or on the contrary inflicted harm on them (Wilby 297). In Scotland, fairies were depicted as ones to offer help in household chores, outdoor labour and various other tasks. This is apparent in the fairy-tale since right from the start Hector found the fairy washerwoman doing the very thing that fairies in Scottish folklore were expected of doing: doing chores – in this very case, thumping away at some clothes (Mackenzie 75). And while fairies were usually very kind in nature, they were often rigorous with their demands for reparation as well (Wilby 291) as seen evident in the story of “The Fairy Washerwoman”. A broken promise cost Hector his entire fortune. In the Scottish culture, work ethic was viewed as God’s underlining purpose for mankind, thus to work hard was a divine order (Natale, Rothschild, Sora & Madden 90). This emphasis and respect for hard work remains a deep characteristic instilled in Scottish culture (Natale et al 90). The notion of hard work is deemed to be a virtuous character which everyone ought to possess. In other words, those who work hard will reap what they sow. This character mirrors the attitude and work ethics of the fairy portrayed in “The Fairy Washerwoman” whose hard work and dedication in her outdoor labour resulted in great harvest. As a result, Hector flourished. However, Hector on the other hand was the total opposite of the fairy and did not reveal this noble attribute in which the Scottish people deeply value. He made no contributions to his gains and successes, so as a result many would say he got what he deserved. This parallels with what Natale et al said about ones achievements being a mark of hard work (90) which wasn’t the case for Hector as he displayed none of this character. His lack of efforts and sole reliance on the fairy is his primary weakness and has brought him to his fate in the end. This all proved to be true as Hector’s fame and riches were short-lived since in the end he became the poorest man in all of Sandray. Everything that he had once owned was taken away from him immediately simply due to his lack of truthfulness in honouring the agreement. This draws upon the virtue of honesty. Integrity is a highly valued attribute in the Scottish culture. In fact, it is regarded very strongly by the Scottish people as an integral virtue that God requires and demands of them (Natale et al 90). In “The Fairy Washerwoman”, the contract bound between the fairy and the human is a symbolism of honesty versus dishonesty. These contractual relationships with fairies are as Wilby reported a part of the nineteenth century belief (290) which would explain its role in “The Fairy Washerwoman” given the time that it was written in which was the year of 1935. Additionally, in Scotland, fairies were believed to customarily establish relations with mortals in order to work out an agreement to labour for a duration of time for something in return (Wilby 290). So within this specific text of “The Fairy Washerwoman”, while the fairy carried out her duties meticulously and loyally for the agreed length of time, Hector on the contrary failed to fulfill his contractual obligations to release the fairy a year subsequent to her captivity. Although by contract the fairy was to work for the mortal man, Hector has failed to live up to his own words and to keep his side of the bargain. And so this once more proved Hector’s dishonesty, which further deviates him from having the good character in which the Scottish people take value in. Furthermore, the people of Scotland truly perceive unselfishness as an honourable virtue. The contrast of this quality between the fairy and the human is demonstrated yet again. Hector’s true colors shone through as his selfish character was revealed throughout the story of “The Fairy Washerwoman”. From the beginning, Hector captured the fairy with the intention of keeping her to fulfill and satisfy his own desires and wants. The first thing he asks of the fairy upon releasing her from his grip is essentially what she is willing to do for him (Mackenzie 76). And the moment the fairy approached Hector to announce that the end of the contract has come, he declared that he wanted to be the grandest and the greatest of the eight families in Sandray. Both these scenarios show selfishness, and has implications that he does not wish to share his riches and good fortune with anyone but rather keep it all to himself – as he did so with the fairy washerwoman. So not only did he back down on his own words and broke the contract established between the fairy and himself, he was greedy and selfish. Although the fairy had given him so much already without asking anything in return except for her release after a year as agreed upon, Hector still wanted more because what he had was not enough which later proved to work against him. The fairy washerwoman does not appear at all like the images of the fairies that we see portrayed in the media in the 21st century. In fact, it deviates from the currently held views and perceptions of how a fairy is presented. Rather than appearing with wings and fitted in beautiful articles of clothing, the fairies in Scottish folklore has preference to outdoor labour. It is also evident that Scottish values such hard work, honesty and unselfishness are characteristics which are coherent and instilled in the story of “The Fairy Washerwoman”. Though interestingly, it is the fairy – not the mortal man, who exhibits these good characteristics. A culture’s influence is pertinent to any literature as it has the influence to shape how its characters are represented, as well as how the structure of the story is formed. Briggs, Katherine Mary. The Fairies in Tradition and Literature. London: Routledge., 2002. Natale, Samuel M., Brian M. Rothschild, Joseph W. Sora, and Tara M. Madden. Values, work, education: the meanings of work. Amsterdam: Rodopi, 1995. Print. Rak, Michele. “Logic of Fairies.” The Romanic Review 99.3-4 (2008): 297. Glasgow. Web. 21 Nov. 2011. Wilby, Emma. “The Witch’s Familiar and the Fairy in Early Modern English and Scotland.” Folklore. 111.2 (2000): 283 – 305.